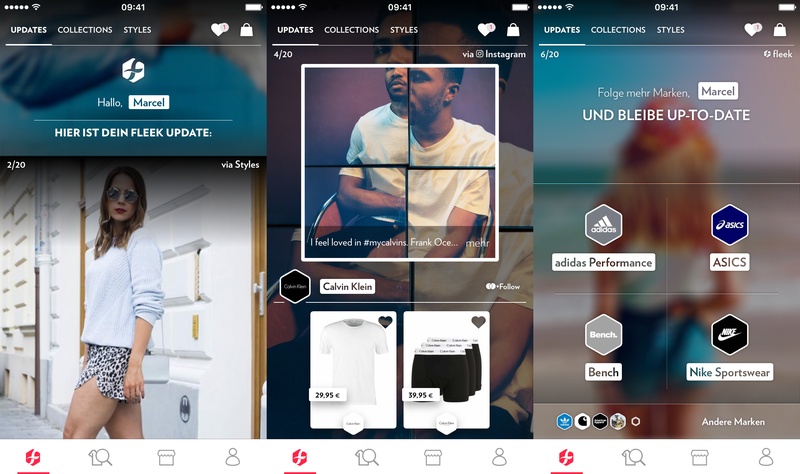 and “Discover Daily”, a personalized recommendation of products based on the data Fleek and Zalando have gathered. The interface of the fleek start page now is two-fold: Besides the bottom menu (to switch between start page, sortiment search, brand directory and account settings) the start page now has an additional new top menu to select between the aforementioned Updates, Collections and Styles. Collections are the blogger/influencer/stylists curated collections. (introduced in 1.2, made followable in 1.6) The new one here are Styles. Styles are similar to Collections: They are collections of one outfit at a time. The creators of those Styles can as well be followed. As much as I see the potential of what Fleek is trying to do here, I am not certain the current interface really supports the increasingly complex net of connections under the hood. 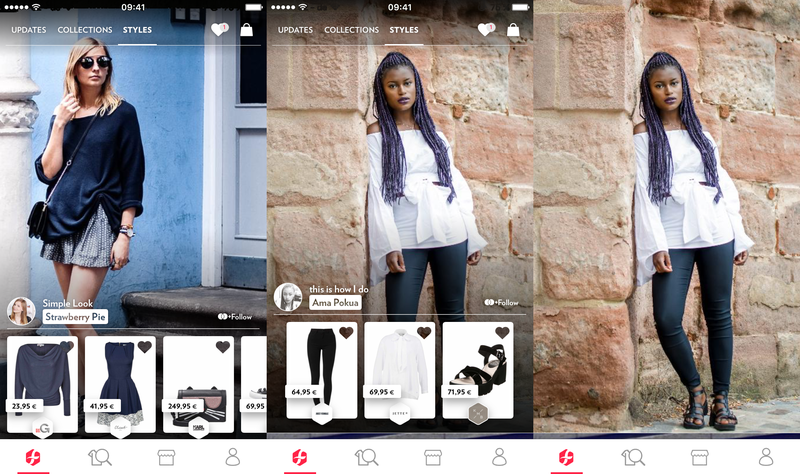 Consequences of manual actions (updates from brands and creators of Collections and Styles a user follows) are intermingled with automatically generated recommendations and other features. And only brands got a dedicated page and feed where one can see what brands one is following.1 There are no similar overview pages for followed creators of collections and styles. Maybe users don’t need those, or maybe without the act of following feels more hollow than it should be. The challenge with this kind of architecture is in how to bring users to engage with the service as they have to go through an additional stage; let’s call that the “setup” stage. They need to understand what they might gain be hitting follow and thus personalizing the service to their liking. If they do, the whole thing can become very valuable to all involved. But the whole thing needs to be obvious. That is a lot of irrelevant content for me in my Fleek.